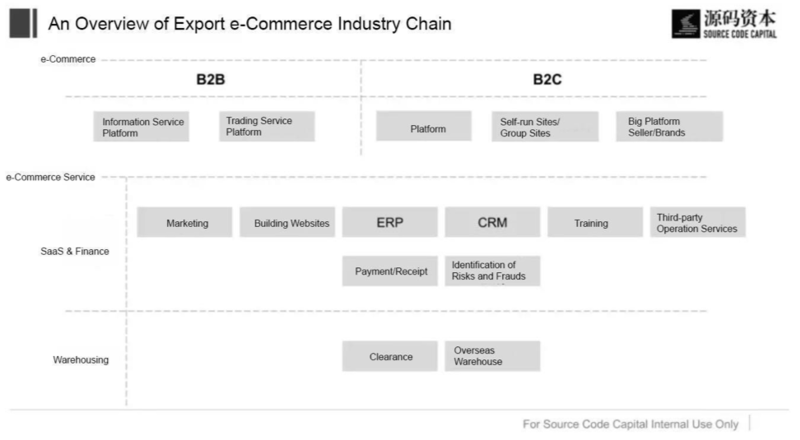 Cross-border e-commerce is now a fast-growing trillion dollar business. While e-commerce in matured markets has been busy upgrading from simply goods consignment to branding facelift and distribution improvements, in emerging markets, it’s also rife with new and budding opportunities. China’s Source Code Capital has been closely observing the course changing in the sector, the below report is the culmination of their years of observations on and analysis of the business. Read on to find out more about what opportunities the trillion dollar sector holds for incumbents and new players. 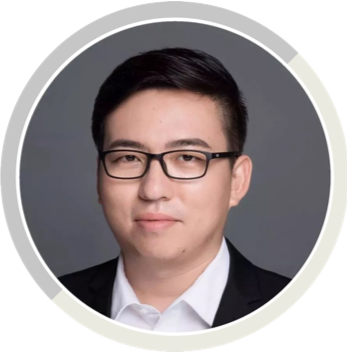 Di Yuan is a Vice President at Source Code Capital. He joined Source Code Capital in 2016, and primarily focused on digital entertainment and Chinese multinational companies. Previously, he has worked at FH Capital and Ping An Ventures. His key investments include Zenjoy, Mybo, RozBuzz, BluePay and RiverPay. He received both his bachelor and master’s degrees from Tsinghua University. Cross-border e-commerce is a fast-growing trillion dollar industry. Mature markets are in the process of improving distribution and branding while emerging markets are also filled with new opportunities. The strong supply chain in China’s non-standardize products matches the strong demand for light industrial products in emerging markets. To non-Latin markets on the rise, there exists the possibility for the rise of regional platforms. As these self-manage B2C e-commerce retailers evolve into a B2C retail platform, they not only have to improve quality of products; they also have to expand product categories, improve regional customer service and delivery experience, establish barriers to entry, and find their competitive advantage against local e-commerce platforms. In regional markets with high social media penetration rates, the flow and connection of information will become critical to the transaction of online commodities. With the improvements of logistics and transaction flow, this provides a more diverse range of vehicles for China’s export. Since eBay’s acquisition of Eachnet in 2003, China’s cross-border e-commerce industry has developed for 15 years. In 2017, e-commerce transactions reached 6.3 trillion yuan. B2C export accounts for 1.2 trillion yuan, with CAGR reaching 43.1% over the past five years. Of which, e-commerce transactions has grown from 12% in 2012 to 19.1% in 2017. The rapid development of global B2C e-commerce was due to the improvement in connectivity between businesses and users: the suppliers are able to sell directly to users and save on distributional costs, while the customers are able to choose from a variety of products at the lowest cost. In the past five years, 3C (Computer, Communication and Consumer Electronics), shoes, clothing, bags, and an unending list of “Made in China” goods have been flourishing across the globe due to the relatively sophisticated supply chain and the consistently decreasing logistics allocation costs. Hundreds of millions of Chinese retailers sold Chinese goods to overseas clients through e-commerce platforms like Amazon, eBay, AliExpress, Wish and their own websites. Product quality and customer experience have improved consistently since the inception of the mobile internet. 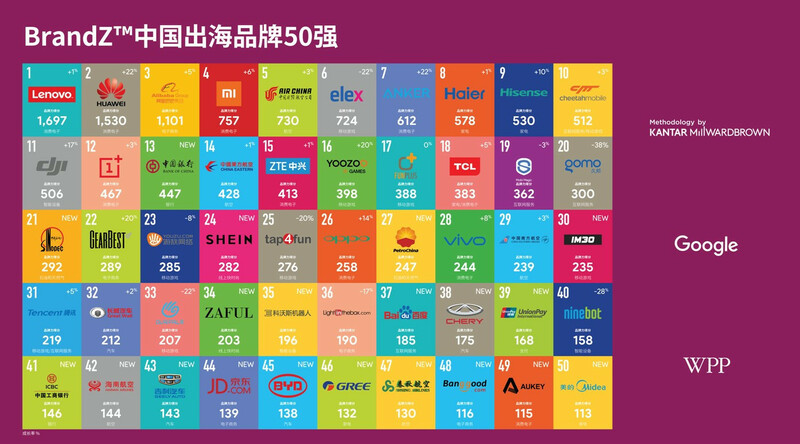 In the Google and WPP’s list of “China’s top 50 brands overseas”, there are a few veteran players such as Anker, GearBest and LightInTheBox, and newcomers such as SheIn, Zaful, Banggood, and Aukey. Nonetheless, China is still in its early stage of developing its own international brand, especially to Europe and American consumers. Market concentration ratio is still low and leading companies are only taking up the 2% of the industry’s retail revenue. Due to changes in operations of e-commerce platforms, competition among various product categories and traffic in recent years, matured markets like America and Europe are going through an upgrade from goods consignment to product branding. Meanwhile, along with the increasing penetration rate of the Internet and the ever-improving infrastructure of e-commerce, emerging markets are budding with new opportunities. Size of the Market: We assess the size of the market by a few macroeconomic indicators such as the increase in GDP, demographics, disposable income per person and fluctuations in exchange rates. We also assess e-commerce business, in particular, the general size of the e-commerce business, the penetration rate of retail, and the speed of growth. Infrastructure: We assess the penetration rate of the Internet, the ease of online payment, the level of acceptance of online shopping, logistics efficiency, population density, and the level of economic concentration. Trade conditions: We assess policies and attitudes towards trade, the efficiency and costs of customs clearance. 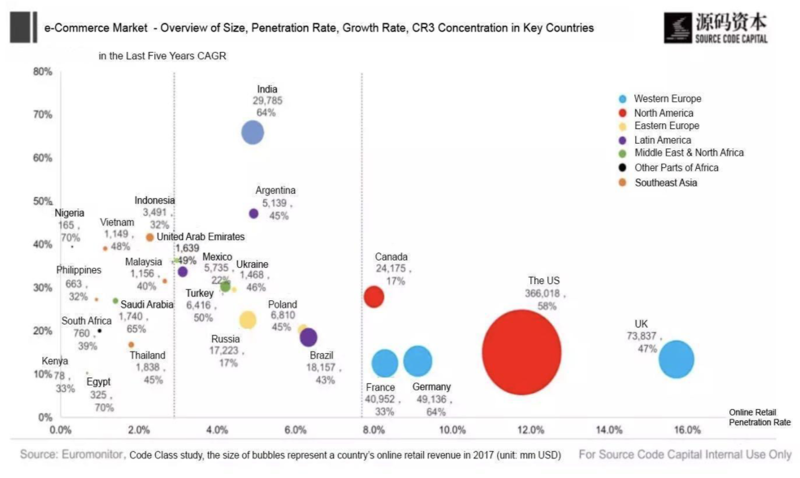 In North American and Western European nations, the penetration rate of the e-commerce retailers is above 8%, the annual rate of increase is below 20%, but the market is large. In Latin American and Eastern European countries, the penetration rate is quite low, but the annual rate of increase is above 20%. In the Middle East, Africa, and East Asian countries, e-commerce penetrations are all below 3%, but they have a higher rate of annual increase. India and other South Asian countries are on the same tier as Latin American and Eastern European countries in terms of the penetration rate of e-commerce, yet their annual rate of increase exceeds 60%. 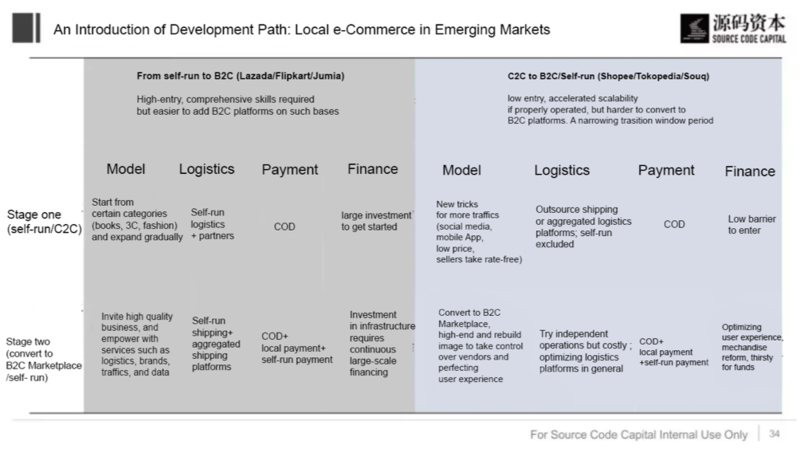 In summary, emerging markets such as Latin America, Eastern Europe, India, and parts of East Asia hold opportunities for the expansion of e-commerce retailers. On e-commerce, companies like Amazon and eBay are unquestionable leaders in Western European and North American markets. In India and France, the playground exhibits the competition between traditional tycoons and local e-commerce retailers. 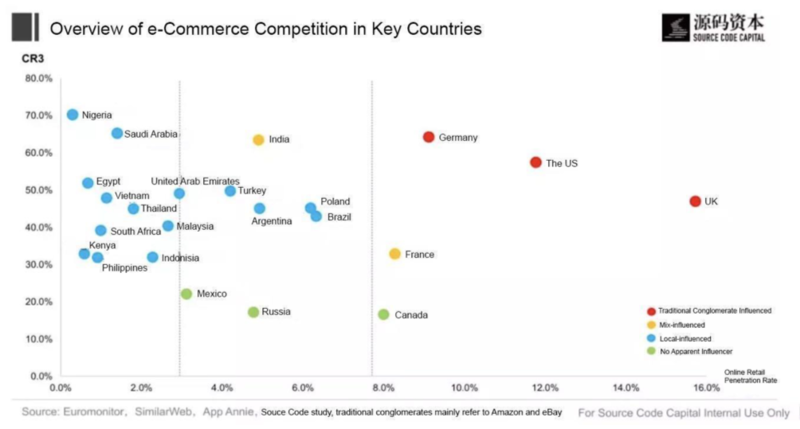 In Latin America, Eastern European and East Asian countries, local e-commerce retailers dominate. Comparing the level of development of light industries in each country, as well as the degree of diversity in the commodities, China has superior supply chain advantage over 3C, attires, footwear, furniture, and other half-standard or non-standard commodities, which are efficiently filling the gaps in the light industries of countries with emerging markets. In non-Latin markets, where there are no prominent players yet, there exists the possibility for the rise of new local platforms. Unlike Amazon, eBay, Taobao/Tmall and other e-commerce big shots, China’s current cross-border e-tailers either list their products on e-commerce platforms or manage their own B2C platforms. Although they were able to quickly establish territories with China’s sophisticated supply chain operations, these retailers are still at early stages of the overall development. 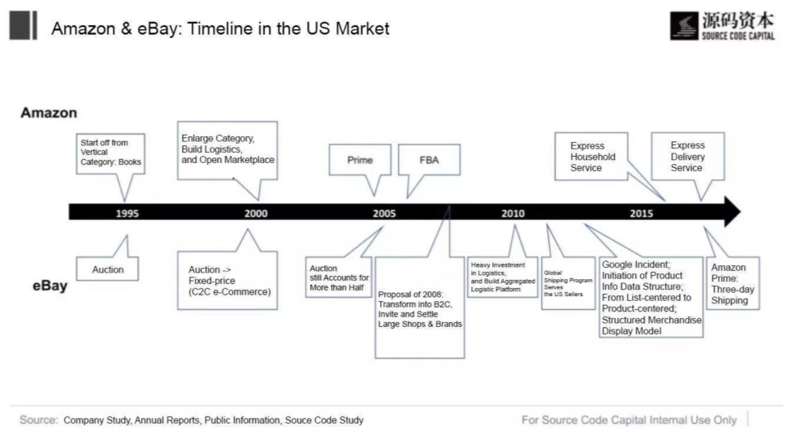 Looking at global trends and the development of Amazon and eBay’s, we have divided the development of e-commerce retail platforms into two trajectories: self-fun B2C -> platform B2C; self-run C2C – > self-run B2C/platform B2C. This trajectory is represented by companies like Lazada (Southeast Asia, established in 2012, evolved into platform B2C in 2013); Flipkart (India, established in 2007, evolved into platform B2C in 2013); Jumia (Africa, established in 2012, evolved into platform B2C in 2014). Self-run e-commerce retailers primarily manage standardized commodities, which are of little reliance on China’s supply chain, and mainly revolve around local and international brand supply chains in order to establish e-commerce ecosystems. This trajectory is represented by companies such as Shopee (Southeast Asia, established in 2015, began the development of B2C in 2016); Tokopedia (Southeast Asia, established in 2009, began the development of B2C in 2016), and Souq (the Middle East, established in 2005, converted to platform B2C in 2010). C2C platforms prioritize the management of non-standardized goods, especially the amalgamate the model of auction and bidding in the early period. Trajectory-wise, the conversion from C2C to B2C entails transformation or the launching of new brands. Amongst the aforementioned three companies, Shopee went on the path of B2C in the year after it was established, and in 2017, launched Shopee Mall, which benchmarks Tmall; whereas Souq, who terminated their services in the auction and categorized ads as early as in 2010, and converted to platform B2C. Presently, the majority of platform companies of China’s cross-border e-commerce belong in the first or second stage of the early phase, China’s supply chain satisfied to a great extent, local users’ need for personalized commodities. Warehouse and basic facilities of payment are gradually being perfected, which allowed these companies to expand GMV quickly and claim for themselves some territories. However, looking at long-term development, in the process of conversion from private B2C to platform B2C, companies not only need to focus on the quality of products but also the investment in the expansion of product categories, customer service, and delivery experience. This will increase their competitiveness. Even though companies such as Amazon, Alibaba and JD have invested an exorbitant amount of resources into overseas expansion and have paved the way, cross-border e-commerce platforms still wane in the areas of delivery, payment, and after-sale services, when compared to local e-commerce operations in China and the US. Be it SaaS, finance, logistics, or warehousing, there is always room for improvement and opportunities for newly established companies to take. With an increasing penetration rate of smartphones globally in recent years, many emerging countries are experiencing different internet development path than China and the US. These differences are manifested in the mismatch between social media and the developmental stage of e-Commerce retailers. Beginning in 2015, WeChat acted as a vehicle to inject new vitality into China’s e-commerce retail industry. In most emerging markets, the popularization of the Internet allowed social media and communication-related products to prosper. which consequently, inspired the conception and growth of micro-retail 1.0. Products under Facebook have over 3 billion active users in the Indian market. Alongside improvements in local supply chains and basic facilities, small e-commerce retailers using Whatsapp as their primary vehicle exceeded 3 million in number, and cultivated enablers in their supply chains and delivery processes, such as Meesho. Social media platforms have also avidly explored the e-commerce retail industry. In October 2016, Facebook launched their C2C platform, which has now spread to over 70 countries and plans to launch in India the B2C payment features in 2018. In May 2018, Facebook opened to all the Instant Game interface which encouraged in-App purchases. Additionally, Instagram ran trials of the feature “tap to view” which connects to outsource retailers and Snapchat launched the feature of “Snap Story” in February of 2018. Social media platforms’ support for e-Commerce, may boost the number of e-Commerce retailers leveraging social media, amidst the boom of centralized e-Commerce platforms. 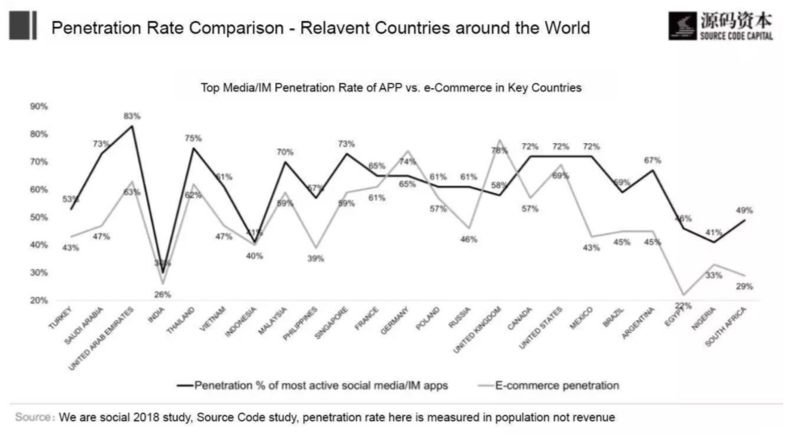 Looking at the juxtaposition between the penetration rates of social media and e-Commerce retailers in major countries, sophisticated markets such as those of Germany and France, have a higher penetration rate of e-Commerce retailers than social media and communication; whereas in the Middle East, Latin American, and Southeast Asian countries, the differences between the penetration rates of social media and e-Commerce retailers are quite strident. In the process of improving the basic facilities of e-commerce retail and education of users, smaller retailers on social media platforms might become quicker to reach than those on e-commerce platforms. Over the last year, a growing number of cross-border e-Commerce retailers in Thailand and other Southeast Asian countries managed to complete the transaction of commodities by utilizing Facebook’s traffic boost on H5 single page, and by employing COD payment method. Although in the process there are challenges in brand recognition, data centralization and repurchase rate, it has reflected consumers’ acceptance towards e-Commerce retailers on social media.